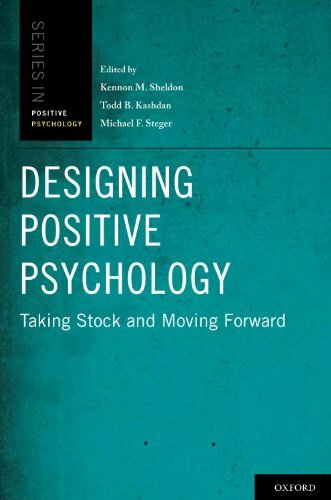 There is a good new book on positive psychology: Designing Positive Psychology: Taking Stock and Moving Forward by Kennon Sheldon, Todd Kashdan and Michael F. Steger. The book is refreshingly broad in its focus and has a much needed balanced view on where positive psychology stands and needs to go. Frequent readers may know that I, while I remain interested in positive psychology, I also have some worries about how it has developed. While its original mission statement was broad and inspiring, my view is positive psychology has been operationalized to narrowly in several senses (see On positive psychology: my worries, views, suggestions and questions). I was pleased to read the opening chapters by Mihalyi Csikszentmihalyi and Jeanne Nakamura [have I ever read something by Csikszentmihalyi I didn't like?] by and by Todd B. Kashdan and Michael F. Steger [not at all afraid to be critical and independent] and notice that some of the worries I have are addressed. I skipped some chapters to read Anthony M Grant and Michael J Cavanagh's chapter 'Coaching and Positive Psychology' and think this one is excellent, too. Can't wait to read the rest. These are the movers and shakers of positive psychology. This book changes the well-being world one blessed chapter at a time. A must read NOW! Hi Judy, thanks! please can you tell a bit more about what things inspire you in this book?